What wonderful events and classes Gloucester Arts on Main has coming in February!! An exhibition by Dathan Kane and curated by Asa Jackson, Kane works with bold, abstract, black & white organic shapes to reflect things he sees on a daily basis. Hard lines & edges capture your attention and question the absence of color. 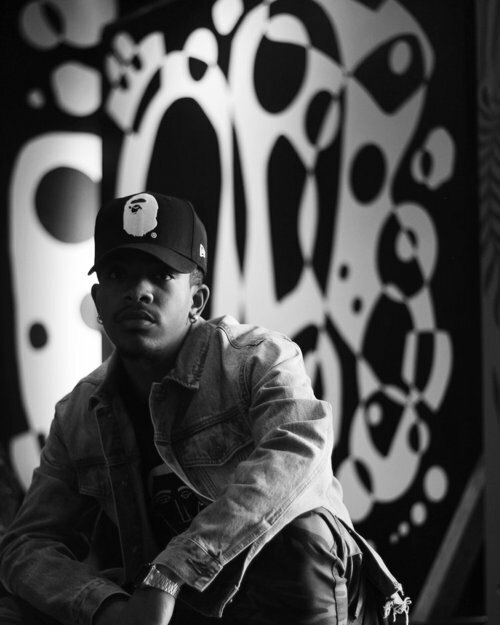 Kane is an artist born and raised from Hampton, VA. He has received his Bachelors of Fine Art degree from Virginia State University in 2014 where he focused primarily on illustration and painting. His work has been exhibited across the peninsula at various galleries including the Meredith Art Gallery in Petersburg VA, Newsome House Gallery in Newport News, Downing Gross Cultural Art Center in Newport News, 670 Gallery in Hampton, Charles H. Taylor Art Center in Hampton, and the Hampton Roads Convention Center. 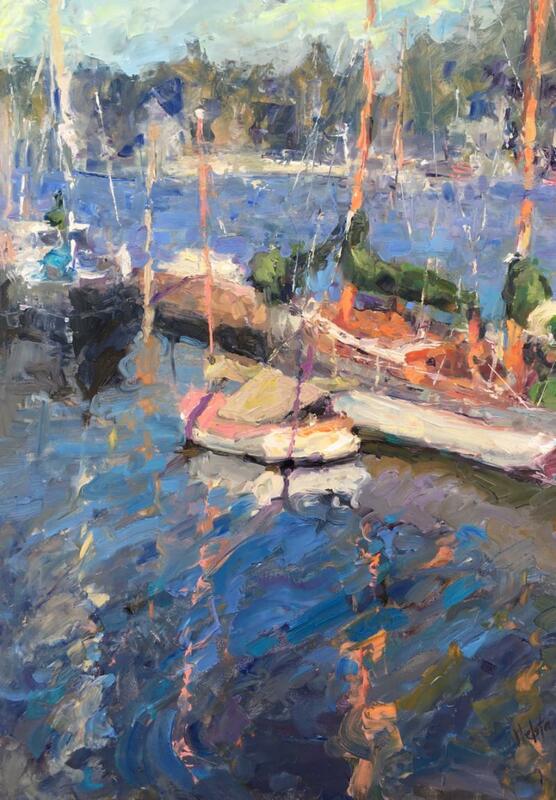 in oil, for all skill levels. Two day workshop will be held on February 10th & 11th. Students may attend one or both classes. $195 2/Day, $120 1/Day. 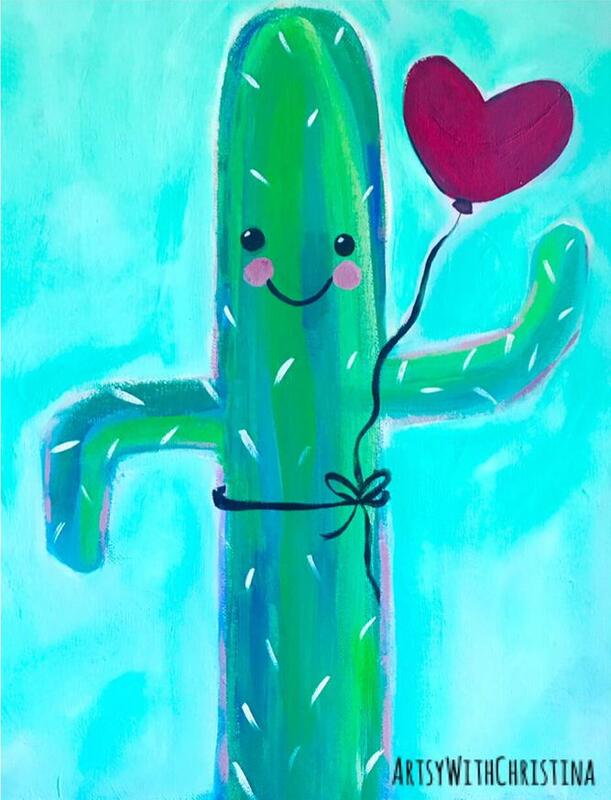 Join us the 2nd Tuesday of every month for a fun paint-in night taught by professional artist Renate Bumgarner. Renate brings over 50 years experience as a painter & teacher to help you create your own masterpiece! She moved to Virginia in 1976 and has lived in the Middle Peninsula since 1996. 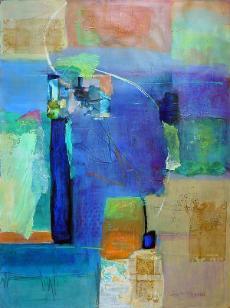 She works primarily in oil, watercolor and pastel. 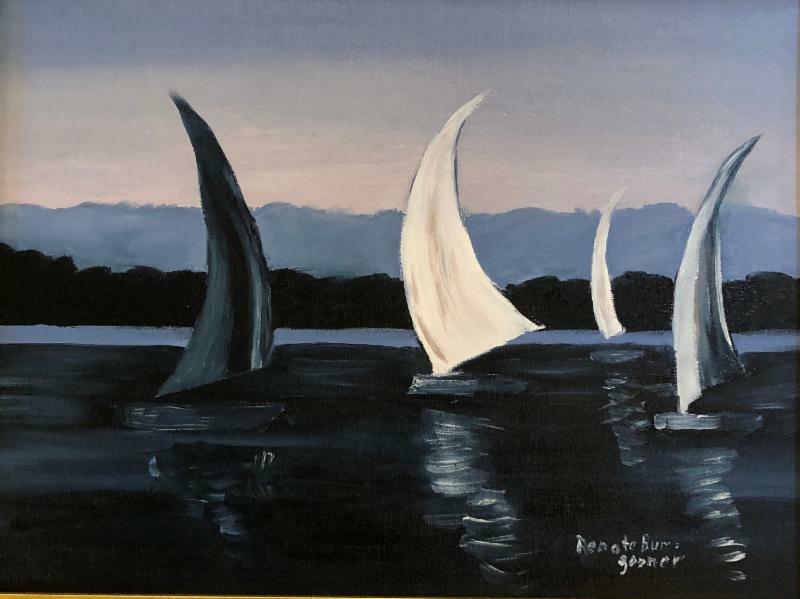 In February, Bumgarner will demonstrate how to paint these sailboats in full sail that will look beautiful hanging in your home! $35pp, all supplies, 2 adult drinks & refreshments included. morning! Geared for a fun way to introduce the basics of painting, each session includes instruction,all art supplies and a small snack. $15, Ages 5-12 Sign up early, these classes sell out! This ongoing series is taught by Renate Bumgarner. Beginners or intermediates. 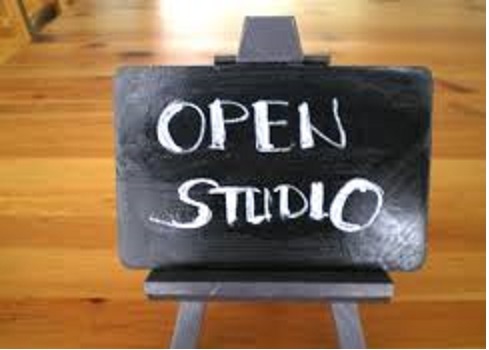 Renate will share her 50+ years experience to get you started with the essentials or help you improve your paintings. Good advice on paints, brushes, starting a painting, analyzing it and more. Amazing painterly technique with teacher Janet Griffin! Create a unique textured canvas with colorful Romney and Corriedale wool as your paints! Your one-of-a-kind artwork will be suitable for framing. Surface embellishment includes mohair, silk and glass. 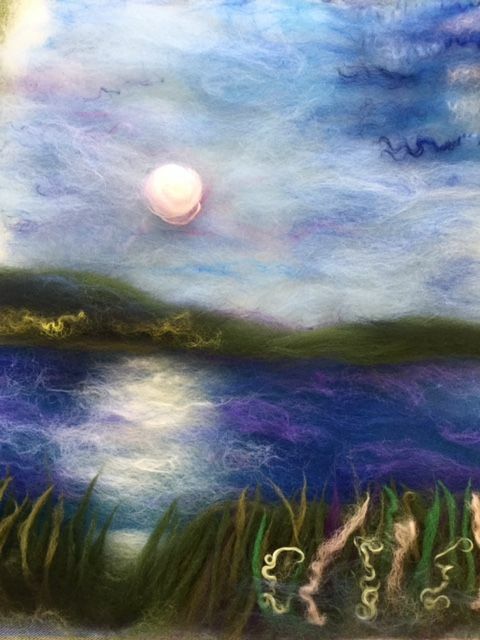 Treat yourself to organic fiber art! You deserve it! You may bring a photograph for inspiration. This will be a wet felt method. You will get wet. Students are requested to bring a towel. $40 plus materials fee of $10. 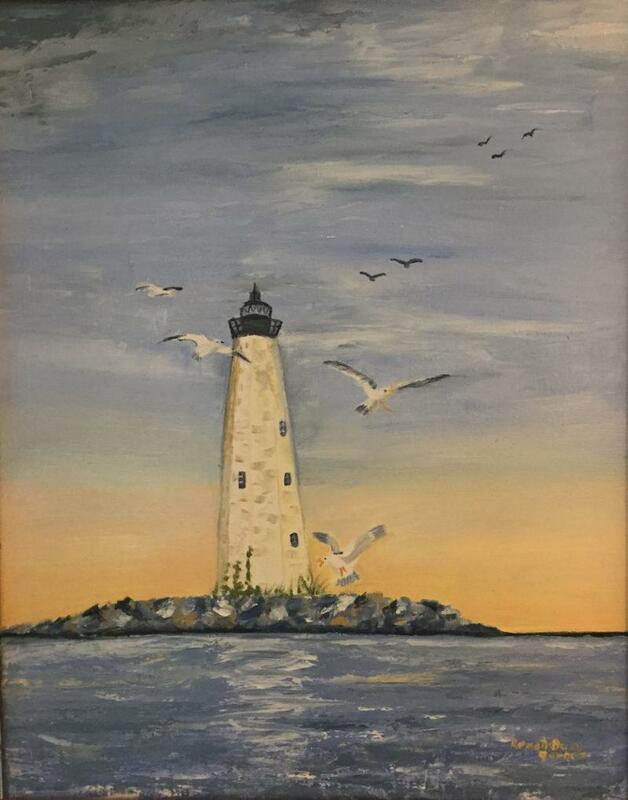 If you enjoy painting with company and getting good advice, bring your art and supplies and paint with us every Friday morning. 9am – 12pm. Free! Arts on Main has a class or an event for everyone! Please register for any class ahead of time as space do fill up. You may use this link or call them at (804) 824-9464.